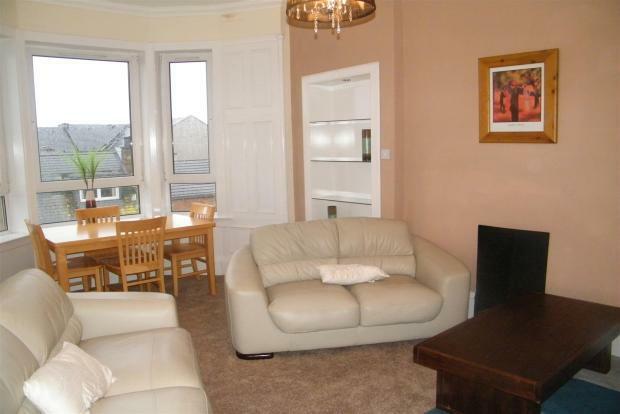 A very well presented top floor traditional tenement property offering bright and spacious accomodation throughout. Finished to modern standard internally and benefiting from the attractive features of a traditional property, the flat comprises of a square reception entrance hallway with tiled floor, neutral decor and large storage cupboard. The spacious bay windowed lounge has neutral carpeted flooring, a feature fire surround and offers ample space for dining. The kitchen is a well equipped internal kitchen, modern in design with fridge freezer, gas hob/electric oven and washing machine. There are two bedrooms both of a good size with neutral decor and carpeted flooring, with the master benefiting from an ensuite shower room. 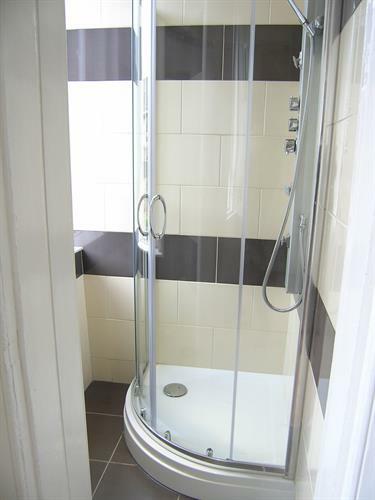 The family bathroom has been updated recently and has a three piece white bathroom suite with shower over bath and is finished to a high standard. Offered furnished, the property further benefits from gas central heating, partial double glazing and on street parking. Located in an excellent location, close to excellent local amenities on the nearby Alexandra Parade and excellent transport links into Glasgow City Centre. Early viewing is highly recommended.